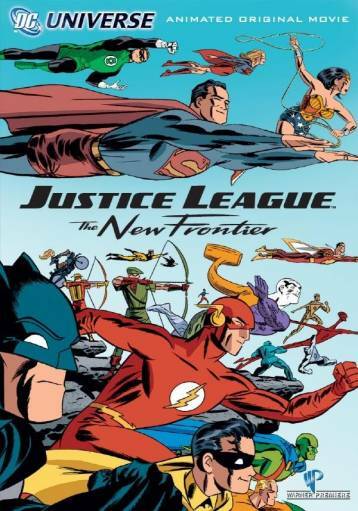 Episode 58.5: Justice League-The New Frontier and More! It’s time for another between-episode bonus, as both Chase and Blake give their thoughts on the new direct-to-DVD film Justice League: The New Frontier. The guys talk about the movie, the adaptation of Darwyn Cooke‘s work, and the DVD as a package. But that’s not all! Our heroes also talk about the new Zorro comic from Dynamite Entertainment, Blake gets a sneak peek of the upcoming DC/Minx graphic novel Burnout and Aardvark-Vanheim‘s Glamourpuss, and Subculture gets a new life. This entry was posted in Showcase Podcast and tagged Burnout, Darwyn Cooke, Glamourpuss, Justice League, Justice League: The New Frontier, New Frontier, Subculture, Zorro. Bookmark the permalink.